The use of renewable energies increases the demands for fast and flexible storage technologies and for the fast availability of electricity in order to ensure the stability of power networks. A promising approach to fulfil these demands is the generation of hydrogen and oxygen by means of electrolysis and the subsequent storage of these gases. An attractive approach for an emission-free energy storage is a closed cycle of water, hydrogen and oxygen. The reconversion of hydrogen into electricity in gas turbines and in combined cycle gas turbine power plants is a challenging task. Mixtures hydrogen and oxygen are extremely reactive and lead to very high flame temperatures and high flame velocities. Therefore a suitable combustor is a key component for advancing the overall concept to a market ready technology. Swirl-stabilized burners are known from the gas turbine industry. Meanwhile they are widely used and still have a high potential for direct steam production. Swirl-stabilized burners are characterized by at least one swirl generator. They are known for their excellent mixing quality. 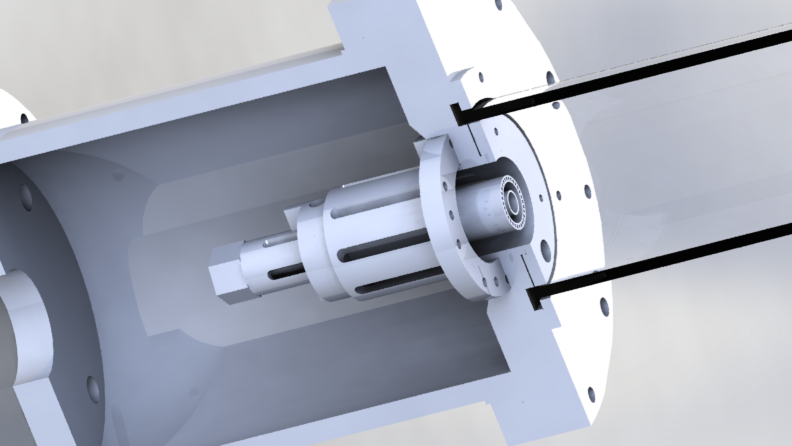 For this innovative burner concept an inert steam atmosphere is employed in the nozzle region. The result of this approach is, that it prevents any flashback of the flame as well as the stabilization of the flame near critical parts. Furthermore, the mixing of fuel and oxidizer is postponed further down the stream. 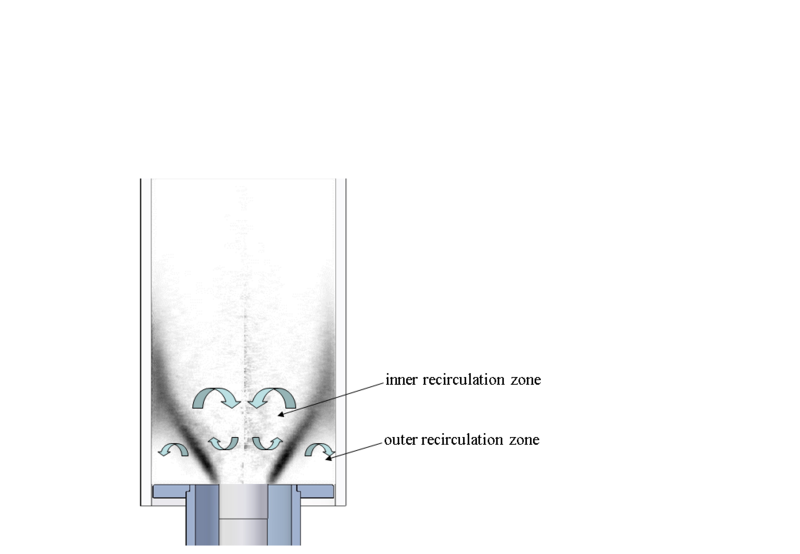 The outstanding advantages of this method are the superior steam purity and the high achievable burnout rates, while maintaining acceptable temperature levels at the nozzle itself.